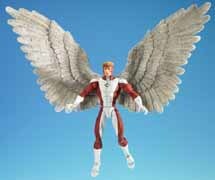 Toy Biz has provided The Continuum with lineups, details and visuals from its next three assortments of Marvel Legends action figures. 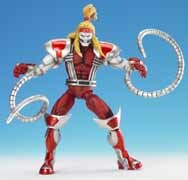 Toy Biz description: "The second 2005 series of Marvel Legends is going to have fans hunting for figures like never before! 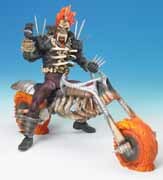 Each package includes a poseable, incredibly detailed 6" version of a Marvel Legend and a character-dedicated comic or poster book. 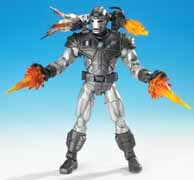 In addition, each figure in this series contains a piece of Galactus, the gargantuan archenemy of the Avengers. Grab every figure in this series and build a 16" version of the famous villain." 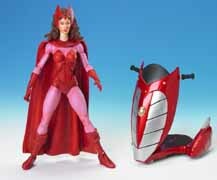 Toy Biz description: "The Sentinel Series contains the superb value and detail that have made the brand so popular. 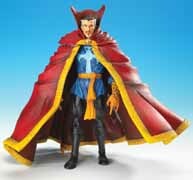 Kids and collectors continue to clamor for these highly poseable replicas of their favorite Marvel Legends. Each will include a full-page comic or poster book. As a bonus, this series will also include a build-a-figure bonus! 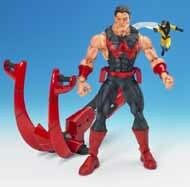 Fans will rush to collect all 7 figures to form a 16" Sentinel, one of the X-Men's toughest foes!" 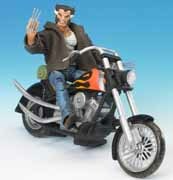 Toy Biz description: "The Legendary Riders Series feature a special collection of Marvel Legends. Each 6" figure features the poseability and detail that fans expect. 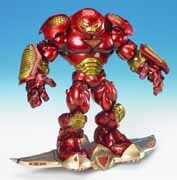 In addition to the full-page comic or poster book, each figure in this series will come with a character-dedicated transport."